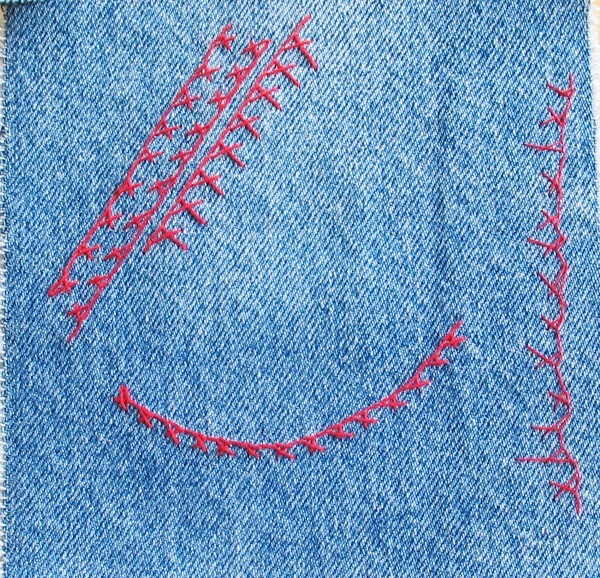 Here are my Crossed Buttonhole stitch. I played with the length of the arms to make them fit the flower petals. 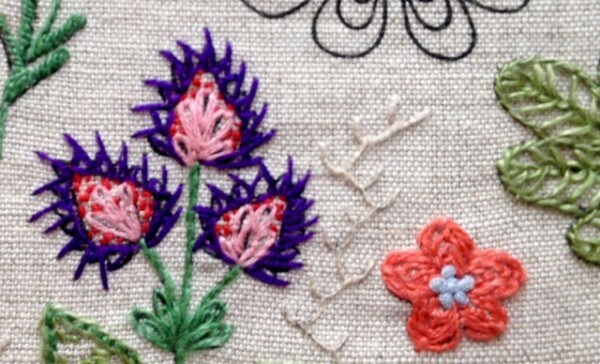 These flowers need some more stitching. 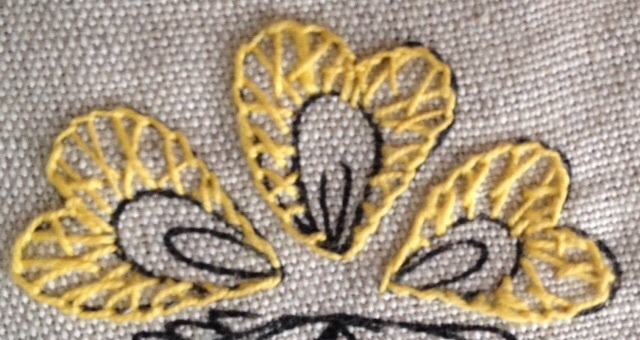 Thanks to TAST a suitable stitch will turn up following weeks. 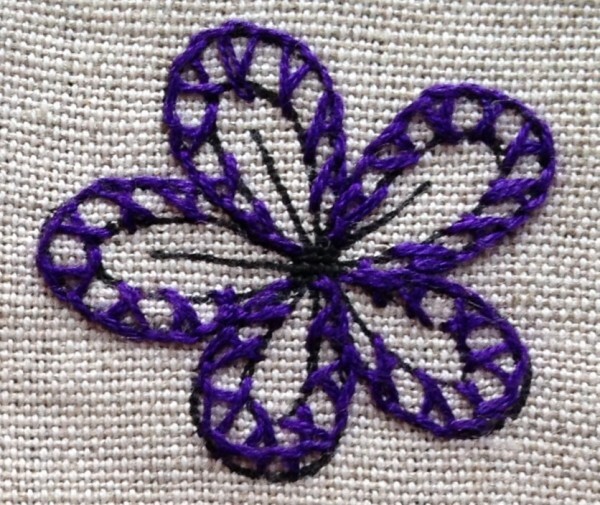 Many flowers from previous weeks have an edge of Fly Stitch. 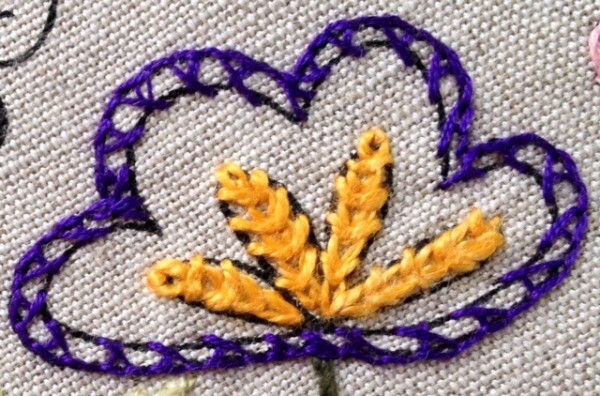 Long Armed Crossed Buttonhole stitch gives a similar but wilder effect. This entry was posted on lördag, november 7th, 2015 at 10:07	and is filed under Broderi, TAST (in English). You can follow any comments to this entry through the RSS 2.0 feed. Both comments and pings are currently closed.